After gaining success as a top producer in Dallas, Brenda Ray then learned the hard way how to give her clients the ultimate in service: By relocating with her husband numerous times across the country. She moved in and out of Dallas to Fort Worth, Connecticut and California, and finally back home in 2006 - nine moves over 25 years. With each return home between relocations, she was able to plug back into the real estate business as if she had never left. And with each move, she learned just a little more about how to streamline the experience of buying and selling a house, particularly for those relocating to Dallas. Her clients today are fortunate, indeed. Brenda hit the ground running as a new agent in 1986, and despite the difficult market of the late eighties, continued to be successful. 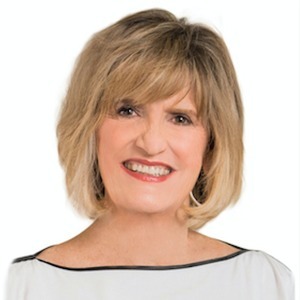 Her thirty years of experience has given Brenda invaluable knowledge of the Dallas real estate market, an innate intuition about people, and the undeniable skill as a tough negotiator. Today, Brenda partners with her daughter Meredith Ferrell, specializing in the Park Cities, Preston Hollow, Devonshire, Greenway Parks, Greenway Crest, Bluffview, and Lakewood neighborhoods. The two of them work together to provide an unparalleled level of customer service to each client they meet, which has resulted in a 100% repeat and referral business. This partnership has undoubtedly proven to be successful, as Meredith and Brenda sold over $40 million in real estate and had a 94% of list vs. sales price for their listings in 2017. Brenda is a graduate of Hillcrest High School and the University of Texas. She and her husband, Steve, brought up their three children in the Highland Park Independent School District while living in the Park Cities. Now settled for good in Preston Hollow, Brenda is a member of the University Park United Methodist Church and a sustainer of the Junior League of Dallas. She loves playing golf, gardening, cooking, bridge and spending time with family and friends.